In the very early stages of World War II, the Germans dominated the nighttime skies with their heavy, long-range fighters. By late 1939, Britain’s Royal Air Force (RAF), embarrassed by Germany’s nighttime air superiority, were desperate to have their own heavy, long-range combat aircraft. 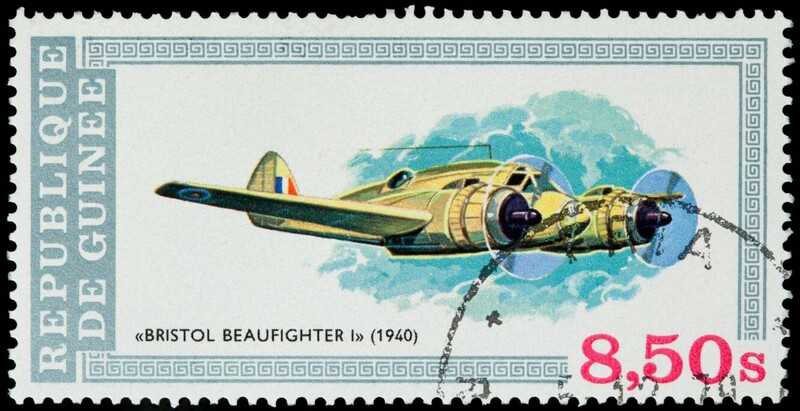 Fortunately, the folks at the Bristol Aeroplane Company anticipated this need and had already designed the twin-engine Beaufighter, which became available to the RAF in 1940. Equipped with the recently developed airborne interception night radar, the Beaufighter’s speed and power became too much for the Luftwaffe and their night raids. Its effectiveness led the Japanese to call it the “The Whispering Death” because of its ability to suddenly strike and turn for home. Though it was primarily used by the RAF, the Royal Canadian Air Force and the Royal Australian Air Force, the United States Air Force used the Beaufighter in small numbers. Several museums in England, Australia, and Canada exhibit Beaufighters. However, if you’re local to the Midwest, you don’t have to travel that far to see one yourself. There is a Beaufighter A19-43 at the National Air Force Museum at Wright-Patterson Air Force Base near Dayton, Ohio. Admission is free!